The site is designed to inform and intrigue future readers and fans. website specifically designed to capture the ambiance of the series and to keep future readers enthralled. Against a black backdrop, where the gray form of a raven takes wing behind the author’s name, the team at Smart Author Sites created a window on the landing page that recalls a dark, worn desk. On the desk are various items — from an old, leather book to a 21st century cell phone — that become links to other pages as users scroll over them. Fletcher’s photograph appears in a small black frame propped on the “desk” and leads to the “About The Author” page. A black leather-bound book becomes the link to “The Series” page for a synopsis and excerpt. A computer keyboard leads to a page of links to the author’s social media sites. An open address book goes to “Fun Facts,” and a newspaper on the desk will lead to reviews of the books. 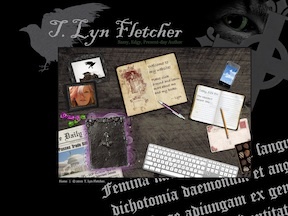 The cell phone links to contact information and downloads (including Fletcher’s head shots and promotional posters), while an ornate, pink envelope takes visitors to a page where Fletcher will post comments and questions readers submit to her by email. All of these items/links remain on the bottom of each page for easy navigation. The see the new website and for more information on the author and the upcoming “Twisted and Turned” series, visit www.tlynfletcher.com. 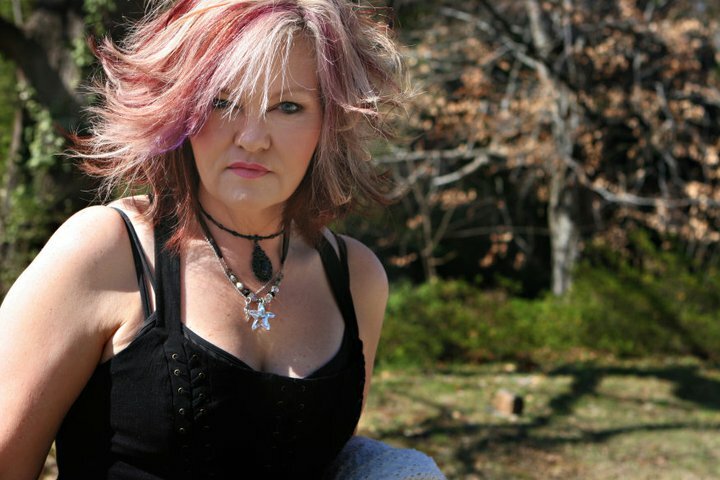 T. Lyn Fletcher, the author of the upcoming supernatural/horror book series “Twisted and Turned,” is a medical software designer in her “other life.” A native North Carolinian, she is a member of the well-known philanthropic Fletcher family of Raleigh, NC, and member of the Daughters of the American Revolution. She active in a number of charitable efforts related to the environment and animal welfare. She has worked with the Washington Charity Awards and participates in Change.org. For more information go www.tlynfletcher.com, visit her Facebook page, or follow her on Twitter.